Senior citizens in Ondo State will forever be grateful to the Governor of the State, Dr Olusegun Mimiko who as a way of redeeming his promises during electioneering campaign, doled out N1.4billion to 1,551 retired primary school teachers and local government workers as their pensions and gratuities. Apart from this good step taken by His Excellency, he also launched the first ever state Residency Card Project and Safe Motherhood Programme in the Country. The Governor who personally handed over the cheques to the frail looking pensioners at the flag off ceremony in Akure said the gesture was in line with his administration's policy of “A Caring Heart” and his desire to bring joy and hope into the lives of the people of the state. Dr Mimiko said the residency card project would enable the owner to enjoy government free welfare services, ensure good economic planning, improve general administration and ensure adequate security amongst other benefits. Information available to modernghana.com shows that the safe motherhood programme according to him would make available to pregnant women free GSM phone, free treatment for them and, children from age 0 to five years as well free insecticide treated nets for mother and child to protect them from malaria scourge. Speaking on the payment of the pension and gratuities to the retirees, the governor said the plight of the pensioners was paramount to his administration hence the quick intervention, adding that waiting for the Federal Government would cause more havoc. He disclosed that out of the 1,551 retired primary school teachers and local government staff, a total number of 466 people representing about 31% of them had died without getting their terminal benefits; a development which he insisted was unacceptable. “Our Administration has resolved that instead of paying these benefits piecemeal without making the intended economic impact on the pensioners, we decided to pay out in lump sum, a total of N1.4billion which is the total amount owed all primary school pensioners and retired local government staff in Ondo State”, he said. The Governor also disclosed that in order to ensure that the retirees are not subjected to unnecessary hardship while trying to collect their entitlements, six payment stations had been created, two in each of the three Senatorial Districts in the State. The Governor also at Igbara-Oke, headquarters of Ifedore Local council Area of the State flagged off the pilot phase of Ondo State Residency Card Project (Kaadi Igbe Ayo) and the Safe Motherhood (Abiye) project both reputed to be the first to be embarked upon by any State in Nigeria. At the occasion, Dr Mimiko disclosed that the Kaadi Igbe Ayo Project was primarily meant for identification and not for enumeration of the residents of Ondo State and it is voluntary. According to him, “KAADI IGBE AYO will make the identification of all residents in this state possible and also through this, collate the information necessary for planning and execution of numerous people-oriented programmes of government. “It is a dynamic smartcard-based solution that will be processed for all residents of Ondo State to serve as the interfacing item for usage at all Public and Private Transaction points within the State. Under the Abiye programme, all pregnant mothers, the Governor further explained, would have 24 hour access to medical facilities.“This is to reduce to the barest minimum the incidents of pregnant women's mortality, and eliminate complications occasioned by lack of adequate medical attention during pregnancy. “To this end, all pregnant mothers will be provided with GSM phones with SIM cards to make free calls to designated medical personnel who have been tagged Health Rangers. 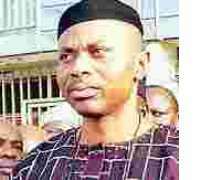 Mimiko therefore revealed that both the KAADI IGBE-AYO and ABIYE projects would be facilitated by the Ondo State Volunteers members.“Since we assumed office in February 2009, about 4,000 of our youths have registered on the volunteer scheme, and 500 of these volunteers are engaged on this pilot scheme”, he said. Emmanuel Ajibulu is modernghana.com representative in Nigeria.